Mickley SK 36/37 326793 (SK 4325793 325793). 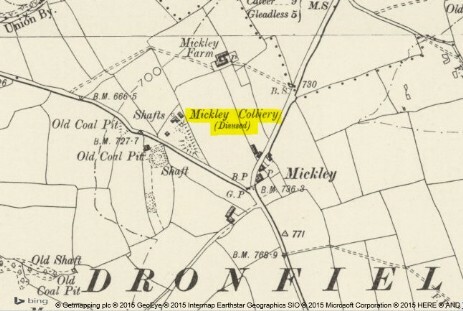 There has been more than one colliery in this area but a Mickley colliery was sunk her in 1906 in an area of a pre existing colliery workings. John Turner and Son are honoured with instructions to sell Mickley colliery near Dore and Totley station near Sheffield. The whole of the colliery plant consisting of three winding and hand haulage engines, two direct steam pumping engines, two pitch pine headgears with spider pulley wheels and other equipment. October 22nd 1887. The above colliery has been disposed of by private treaty. 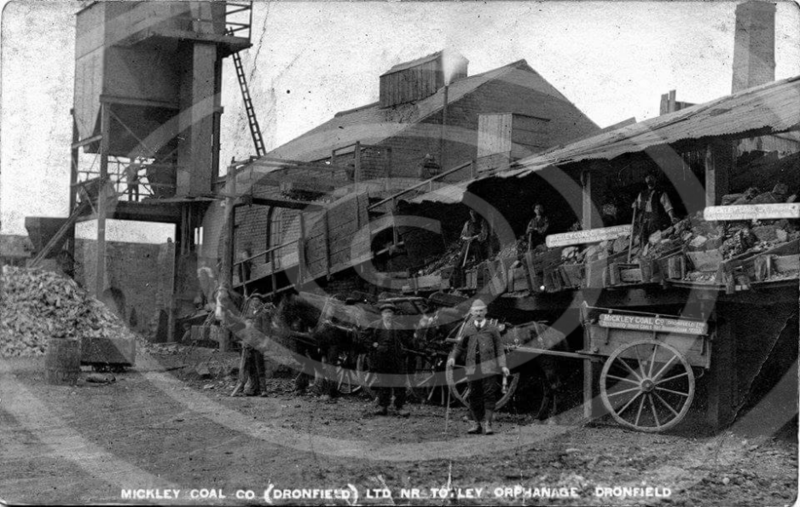 Mickley Coal Co., Mickley, Dronfield, Sheffield. No entry before or after 1908. Cherrytree Orphanage. SK 318796. (SK. 431841 379651).